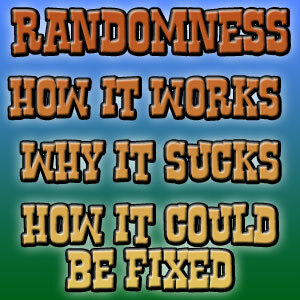 Randomness, oh randomness... why do you torment us so? Randomness, chance, luck, chaos... they're all things that are interwoven deeply into the tapestry of existence, but have never reached such heights of despair as felt by Frontierville/Pioneer Trail players over the last couple months. The addition of randomness into the game has been, in one fell swoop, the most antagonising game feature in memory. At least with repeats you know what you're getting, at least with Partnering it's workable... but Randomness, you cold-hearted shrew, you cause us pain like never before. Let me get this part out the way first, I believe randomness and luck can be a fair game mechanic. Most games out there have some element of it, the roll of a dice, the turn of a card, something that just makes it not quite so predictable. But luck and randomness need to be designed well and balanced well or it tumbles into frustration and unfairness. One player being more lucky than another is ok, we can deal with that... one player being a LOT more lucky starts becoming a grind. The trick with randomness is to make people win just before they reach the point where it's annoying. These days with the random stuff I'd say we're usually waaaaaay past that point. To get to the bottom of why it's so infuriating and what could be done, lets actually rip open the casing and see HOW the randomness works. This is how drops are decided and how the random animals are chosen. 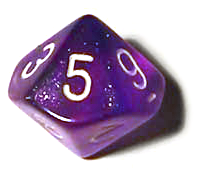 Yes, your eyes don't deceive you, that is a 100 sided dice (this one is on sale here...). It's largely used for roleplay games like Dungeons and Dragons. The surface is ever so slightly pimpled like a golf ball so it'll stop with a number pointing up. Now, every time we heal a random animal or try for a drop the game rolls this dice and then looks at a little chart to see what number corresponds to what prize, then gives it to you. So, for example, in the latest random crates a dice roll of 1-40 will get you the tree, 41-70 will get you the sheep and 71-100 will get you the donkey. Every time we click the game is rolling its digital dice and finding us a number. Here's the problem, Zynga are picking their numbers like an engineer with too much logic. The roll rates for the Prank Crate above would SUGGEST it's as near as makes no difference a 1 in 3 roll with a slight bias towards the tree. But that's not how the world works. To take a very small example I just flipped a coin (a 50p piece if you want full disclosure). That should be a simple 1 in 2 chance of being heads or tails but in fact it went tails, tails, heads, tail, tails. I know, I know, that's a incredibly small test group but it goes to show that the world doesn't like to play by the rules. It's not 1 in 3, it's 30 in 100, and that really does make a difference. If I have 3 boxes in front of me and one contains a million pounds I'd consider my chances quite good at finding riches. If there's 100 boxes in front of me and 30 contain a million, I'd be pretty sure I'd find one of the empty 70. We also have to remember that the game doesn't have a memory. When people talk about drop rates of 1 in 10 the game isn't counting, it won't think to itself "they've not had the Sceptre in 9 tries so this time they will", it's just as tied into luck and chaos as the rest of us. I truly think Zynga DO think their drop rates will work as advertised, but engineering and mathematics don't work right in the real world. 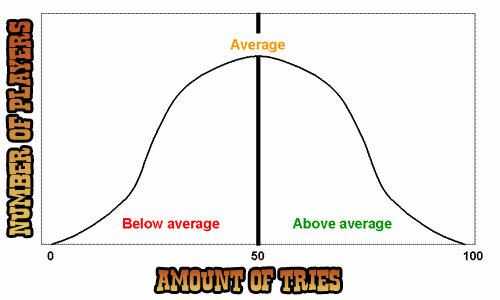 Randomness works on a bell curve, but right now the number on the far right is just far, FAR too big for some. 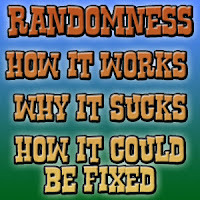 There's two ways the whole Randomness thing could be sorted, well, actually three if you count just never doing it again but as I said at the start, I don't mind a little bit of randomness if it's fair, balanced and fun. There is a bit of fun in the thought of opening something and getting a random item inside, but that gets leeched out when we're having to do as many as we can to get them all. This one follows on from the explanation above and is pretty simple. USE SMALLER DICE! Say we still need the Donkey from the prank crate. every time we roll the 100 sided dice there are 70 chances for us to NOT get it. Each roll is brand new, by the law of averages it's even possible someone can open 5 Prank Crates and get the SAME failing number each time. So, instead, roll smaller dice. 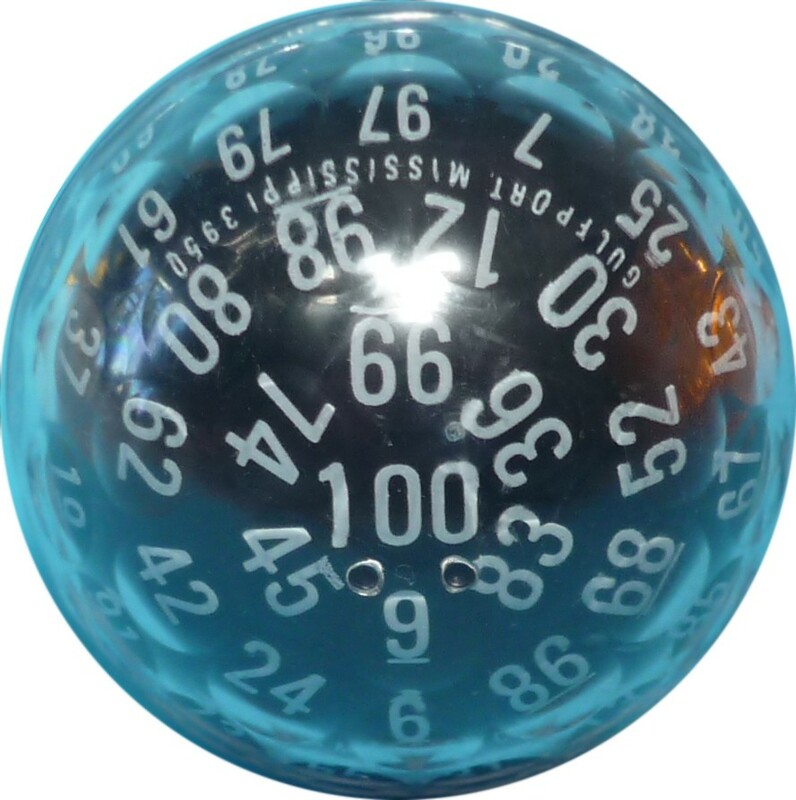 Roll a 10 sided dice and there's only 7 "losing" numbers we could hit, not 70. A mathematician might argue there's no difference, but they tend to work in absolutes, the simple logical answer is the less sides to the dice, the more chance of getting what you want because there's less variables. The really simple answer would seem to be to give us caps and limits on what can appear. When we have random animals, code it that each animal can only have 3-5 on the homestead before the game ignores it and rolls again. We still get randomness, but nobody ends up doing insane amounts. I think people would be more pleasantly disposed to the randomness if they knew there was a maximum amount. "Yes, the most frogs you'll need to grow is seven, then you'll have them all for sure." - an answer most people would probably be fine hearing... but having people doing 20-30 of these items is just infuriating. The Random things aren't BAD, just badly designed... and could be made better if you really have to keep doing them. Exactly - I've mentioned the very same thing to you numerous times! I don't mind doing these things to the tune of perhaps 10 or 12. But when you are having to do 20 - 30 things become ridiculous. So where is my sceptre???????????????? I've just about had it and have been ready to quit this game numerous times. The only reason I am hanging on is the fact that I am having hip replacement surgery in a few weeks and will have 3 months of recupe time - after that I think PT will be a thing of my past! You sound like me. I am 100% FED UP. 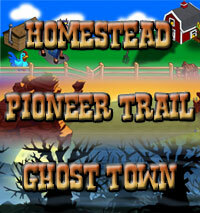 I am just biding my time with Pioneer Trail. I can't work for 2 months because I've had a hand operation, but after those 2 months are up, I can see me turning my back in disdain on that infuriating game. I may never hatch a flamingo. My Town Hall went missing and Zynga said that there was nothing wrong with my game... so I can't make the boosts. The duck egg mission, I have completed it 3 times as we were supposed to, but it only shows 1 completion and I sure as HECK am not going to do it a 4th time for nothing. This is Satan's game and I keep playing with fire... I detest the game and I detest myself for letting myself be tortured by it. Still working on this myself ... and it's almost June ... I think I started the glittering debris mission in Feb. It's ridiculous ... I've easily done over 50 of these glittering debris ... multiplied by the amount of wood shears and saffron / red roses to acquire the pruning gloves ... I've been playing this game since almost the beginning and now I'm going through the same issue with the clown pig in the circus mission ... I can clearly see the end of my participation in Pioneer Trail. I agree 100% - just when I started liking the game due to some sensible changes they made these randoms came into the picture and I'm starting to hate it again. I've gone to block it several times but I feel sorry for my neighbors, some of which I only just recently picked up. Having said that tho' I have a feeling that we will be parting company. Deep down I think they want to get rid of their non-paying players and this is the way they've chosen to do it. So be it.....after all, I can take a hint. I have been a loyal player from the start and I "do work hard". It is really dumb the way it has gone lately! I stopped buying hs because they kept disappearing. I click all day long after my 50 to help others and try to help in other ways also. I guess what I'm trying to say is this dose need to be fixed! Or, fix the Barter Building, which we have not used since the mission where we built it, and allow us to trade, say, 3 orange pines for one green mule? That would be a fun way to cap it .. wouldn't even mind having to harvest something to get a trade permit or two to go with it! back to teh elusive scepter, i have searched 20 Sparkling Debris, got lots of crops and other junk but NO Scepter, where is it, I am getting tired of this. 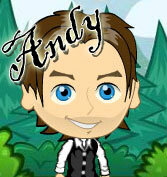 Zynga needs to change to make things easier for players, not impossible. If something goes missing or you complete an item or a mission and you don't get credit, contact Zynga customer support and they will complete the mission for you or place the item in your inventory. It takes a few hours for them to respond but it's worth the effort to contact them. I thought that I had, finally, discovered the key to the randoms. My luck was good until the muddy animals then I thought I would never never ever get the Uptown Chicken, but it finally appeared...oh joy!!! Then the eggs came along, 12 done & no flamingo. grrrrrrrrrrrr I decided then since there was 3 birds that needed to be found that I would try feeding 3 different eggs simultaneously. I had tried everything else, so why not. Flamingo appeared!!! yeah Frogs, I placed 3 and got all 3...123 no problem. On a roll, so I tried it with the prank boxes. Okay, I didn't get all in 3 tries, but I did get all in 4. I solved the problem by not doing any of those missions anymore. Everyone should do that and they would knock it off.